Photo by Mari Helin-Tuominen via unsplash creative commons license. The International Consortium of Investigative Journalists, the nonprofit organization that coordinated the historically massive “Panama Papers” investigation, is having its moment in the media spotlight. 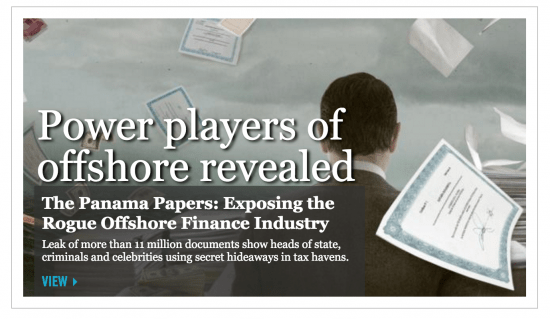 More than 100 news outlets recruited by ICIJ to mine leaked confidential documents from a Panamanian law firm published initial reports Sunday detailing the widespread system of secret deals and global tax evasion in which world leaders, business executives, professional athletes and celebrities shield their assets using offshore bank accounts. Founded in 1997, the Washington D.C.-based ICIJ is one of a growing number of nonprofits producing investigative journalism at a time when fewer commercial media outlets are doing so. ICIJ acquires troves of leaked data and invites news outlets across the world to collaborate on investigations, which are published by ICIJ and its partners. Then came a second wave of fawning news coverage from outlets that were quickly forced to play catch-up because they were not among ICIJ’s reporting partners. The New York Times, notably not invited to be a reporting partner, chronicled the investigation from leak to publication. Mashable marveled at the scope of the Panama Papers project, “among the broadest and most technologically challenging journalistic endeavors ever,” involving 2.6 terabytes of data and 11.5 million documents covering nearly 40 years — said to be the biggest data dump in history. Wired wrote that “the leak represents an unprecedented story in itself,” involving an anonymous whistleblower, a German newspaper and nearly 400 reporters from 80 countries. Forbes called the logistics of the operation, including the improbable feat of keeping the investigation secret for a year, “astounding.” Columbia Journalism Review and Poynter heralded the investigation a triumph of newsroom collaboration. ICIJ helped amplify the media coverage, giving interviews across the world and using its digital platforms to collect and share news stories and social media posts. In the days and weeks ahead, if history is any guide, ICIJ will assiduously track media mentions of the Panama Papers case — a daunting task given the magnitude of coverage. The degree to which other news outlets reference ICIJ-coordinated investigations and produce follow-up stories is one of the ways that the consortium measures the impact of its journalism, according to a recent study I co-authored with Magda Konieczna in Journalism Studies. We conducted a discourse analysis evaluating ICIJ’s own language about three ambitious investigative reports into global tax evasion (projects known as Luxembourg Leaks, Swiss Leaks and Secrecy for Sale) between 2012 and 2015 that received less attention than Panama Papers in the United States. Our dataset included news stories, blog posts and other documents posted on the ICIJ website, as well as tweets from ICIJ’s account, published interviews with staff members, e-mails that the organization sent to readers describing its work and a portion of a report that the organization sent to funders. We also conducted two interviews with ICIJ’s online editor. We found that ICIJ doesn’t shy away from discussing the impact of its work, setting it apart from traditional news organizations, which tend to argue that their responsibility ends at publishing or broadcasting a story. While journalists have historically professed to be agnostic about impact, as explained in James Ettema and Theodore Glasser’s book Custodians of Conscience: Investigative Journalism and Public Virtue, thinking has begun to change. 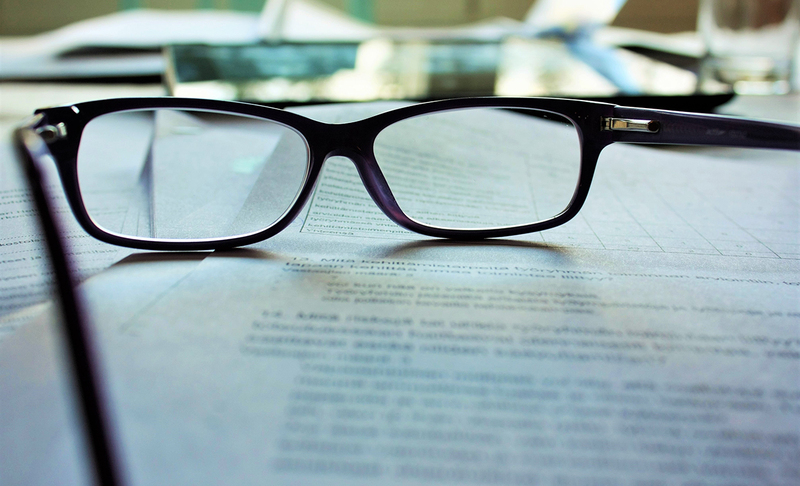 Nonprofit newsrooms have been at the forefront of impact measurement, driven by internal interests and pressure from foundations to show a return on investment. Is a system that is designed to protect people broken or failing? Is it of global concern? Is the investigation likely to make an impact? We found that mentions of deliberation and substantive change were most common, followed by mention of citations, and least commonly changing public opinion. Although we didn’t analyze the Panama Papers case in our study, ICIJ’s discourse and initial response fit with the patterns we found. Timed with the first round of reporting by its journalists and news partners, ICIJ wrote a summary of findings predicting that the Panama Papers investigation is “likely to be one of the most explosive in the nature of its revelations.” In addition to tracking media coverage, ICIJ wrote about the significant global response. Strikingly, less than one week after the initial round of reporting, the fallout already covers each impact category above: Iceland’s prime minister announced his resignation (substantive change) following mass protests (changes in public opinion), governments across the world promised investigations (deliberation), and the Chinese government attempted to censor Panama Papers coverage (media references). With Panama Papers staying in the spotlight, news outlets will have plenty of chances to heed this advice. Elia Powers, Ph.D., is an assistant professor of journalism and new media at Towson University. He writes regularly about news literacy, audience engagement and non-profit journalism.